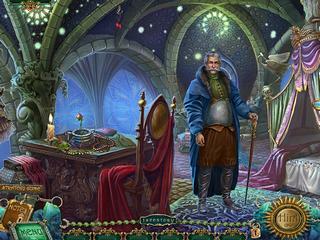 Hidden object puzzle adventure games are a genre that usually has an interesting to a certain degree story. But it is hard to keep up with the pace of the developers and still bring about something new and something unexpected. The game is really a very good fairy tale in a game format. It seems though that the developers of Queen's Tales: The Beast and the Nightingale have shown an example of how to do it. It is pretty close to the beauty and the beast story but with a few twists. In this game, your father brings you a nightingale that happens to belong to a beast, who now gives him a choice of either being his service or giving him you. Anyways then the story takes an unexpected turn... prepare for an adventure. The game is really a very good fairy tale in a game format. You are going to meet many interesting characters and go to many beautiful locations. The gameplay is pretty much the same as most of the good HOPA games. 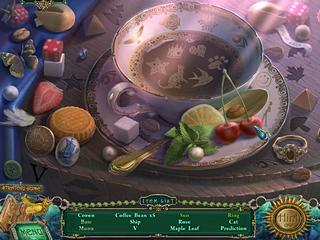 The hidden object scenes are slightly interactive and can be switched to match-three puzzles. Some of the mini-games go in casual or hard. And there are collectibles and achievements. Queen's Tales: The Beast and the Nightingale is a colorful and challenging and interesting hidden object puzzle adventure game. Don't miss this one if you are a fan of the genre! This is Queen's Tales: The Beast and the Nightingale review. Download this game here.